What is Dogfish and Why Should I Eat It? While historically seen as a frustrating hindrance to seasoned fisherman, the Spiny Dogfish has generally drifted through unnoticed by mainstream diners and conventional chefs, but a recent push for aquatic sustainability caused by the stark realization of the repercussions from overfishing practices has launched this marine native into the American spotlight. Also called rock salmon and cape shark, “dogfish” were so named by fisherman for their tendency to travel and hunt in dense packs; an annoying bycatch for those looking to bait more desirable fish, like Atlantic cod. Unfortunately, the cod that once flourished in the northern Atlantic waters disappeared in the 1990s due to irresponsible overfishing, challenging seafood suppliers to develop sustainable fishing practices and to find a new delicious catch. The solution? The ubiquitous dogfish. Although some suppliers have uncovered the course to ethically and ecologically sound fishing and seafood distribution, demand for what used to be known as undesirable bycatch remains low but slowly growing as American diners warm up to the idea of dogfish for dinner. 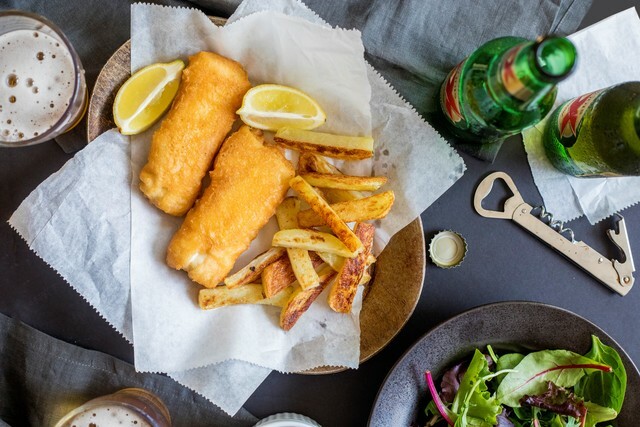 The United Kingdom, on the other hand, have embraced the dogfish as it is traditionally served battered and fried alongside seasoned potatoes- a classic dish better known as “fish and chips”. 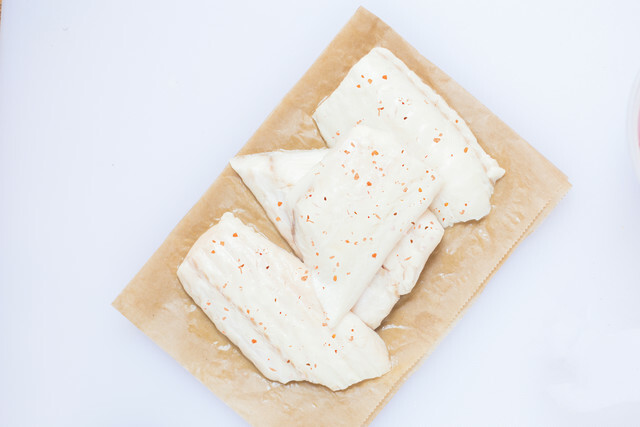 Still, the dogfish can travel much farther in the kitchen; the white flesh is mildly sweet and firm, and contains just enough fat to allow versatility in cooking techniques while retaining a moist, flaky inside. Dogfish swims well with others in hearty soups and zesty stir-fry, but also shines on its own when grilled, seared, baked, and smoked. Adding dogfish to the menu means more than just dining on wholesome, flavorful food- it’s a commitment that benefits an ecologically sustainable and socially responsible seafood movement. Your dedicated fisherman, hardworking distributors, and of course, the thriving fish, will thank you.